The Repubs are doing all they can to derail this. I saw where insurance companies are spending millions daily to stop it. What are they spending the money on? Why is it when the Dems are in charge and want to do something for the American people, the Repubs scream about the cost? Where were they during the Bush years when they blindly approved all money requests? All of these "new findings" are just the preparation for the cutbacks in the existing health care system that the GOP is hoping to establish once they finish knifing Obama's butchered "reform" in the back. When the Repubs talk about health care rationing, this is where it stems from. They believe they aren't going to lose this fight, and are already at work ensuring that Obama and the Dems get the blame. I believe you are misstating the prostate recommendations. Certainly no treatment is recommended for many of the slow-growing ones in older men, but virulent, fast-growing prostate cancer can strike relatively younger men. I think most doctors agree that there is no reason a blood test shouldn't be performed. Why all of the sudden a different set of guidelines is a taste of rationing to come? The disagreements between various agencies in this country and among various health organizations in Europe have aways been there. 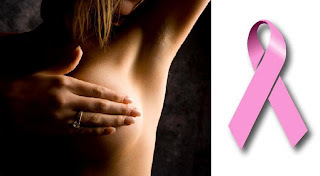 In 2005 for example the American Cancer Society recommended annual mammograms for the 40+ women whereas the Natioanl Cancer Institute had suggested annual or bi-annual depending on the patient. Why nothing was said then about "rationing"? The scenario on "rationing" is hard to prove for another reason as well. There are not any significant savings for the insurance companies if women take these tests less frequently as the exam is dirt cheap. For the uninsured it costs $90-130. For the insured, the negotiated price is even lower. And if your policy requests a co-pay, then what the insurance company eventually pays is peanuts. Let alone the fact that often I see in magazines coupons 0f $30-40 towards having a mammogram at a particular imaging center. These recommendations regarding breast cancer screening for women by the government are totally irresponsible. For YEARS I have been advising my girlfriends that mammography is only 85% effective and they MUST also have a breast ultrasound. In addition, pap smears only screen for cervical and cancer of the uterus. They MUST also have a transvaginal ultrasound or a CT scan of the pelvis to make sure they do not have ovarian cancer. The CA125 test is not accurate at all. I believe in full body scans as well. I have recommended lung scans which I do yearly because I smoke and not only cigarettes if you get my drift. I would rather have a false positive than get cancer thank you very much.